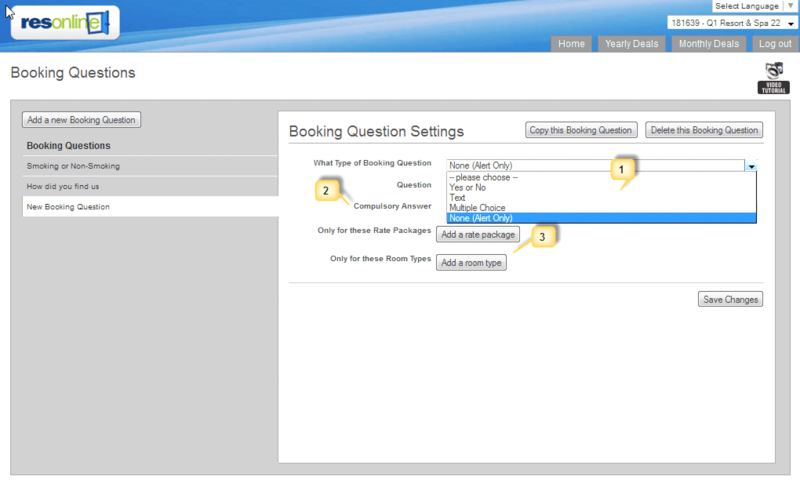 From the Home menu, click "Questions"
The booking questions feature allows you to add particular questions to your website that guests will answer during their booking process. 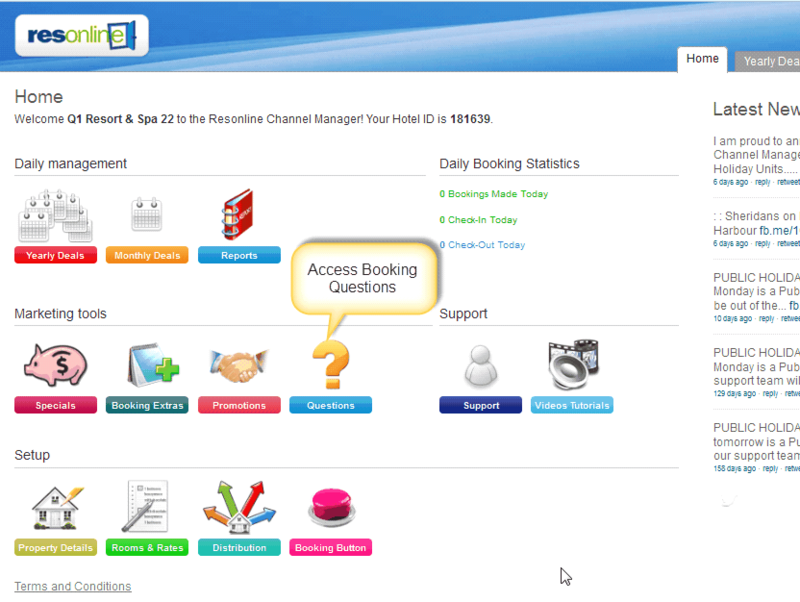 The booking questions module provides a lot of flexibility. You can ask…. •A Multiple Choice question. Example, “How did you hear about us” and then provide a choice of answers such as “Newspaper” “Google” “Friend” etc. Once you have created your question you can choose if it is compulsory that the guest answers. You can also ask specific questions for a room type. For example, if you have a room that has a king zip bed in it, you can ask if the guest would like a king bed or two single beds. 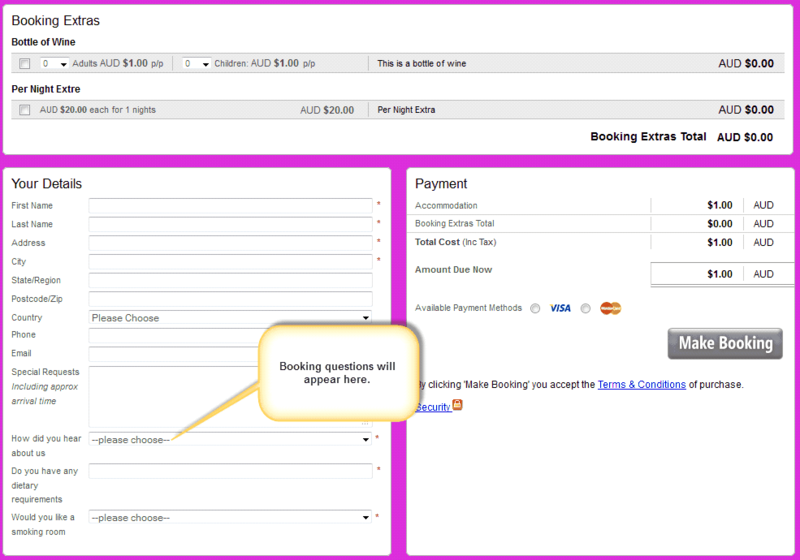 Booking questions will appear on the page where the Guest is asked for their details.